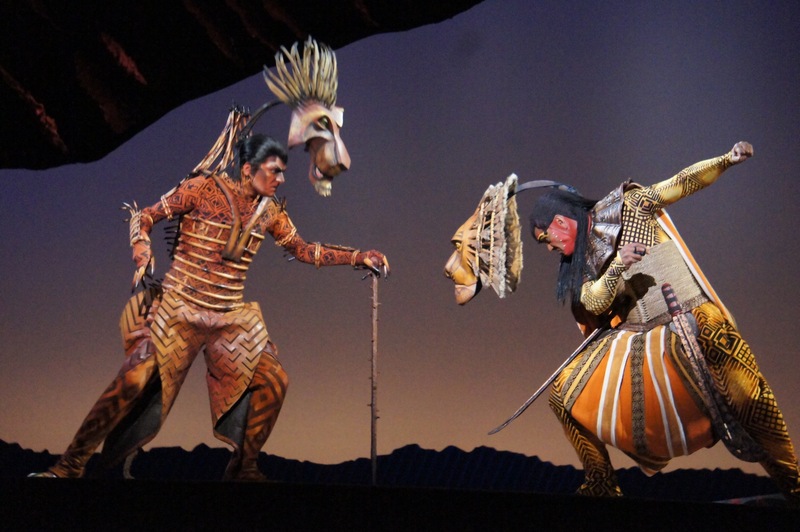 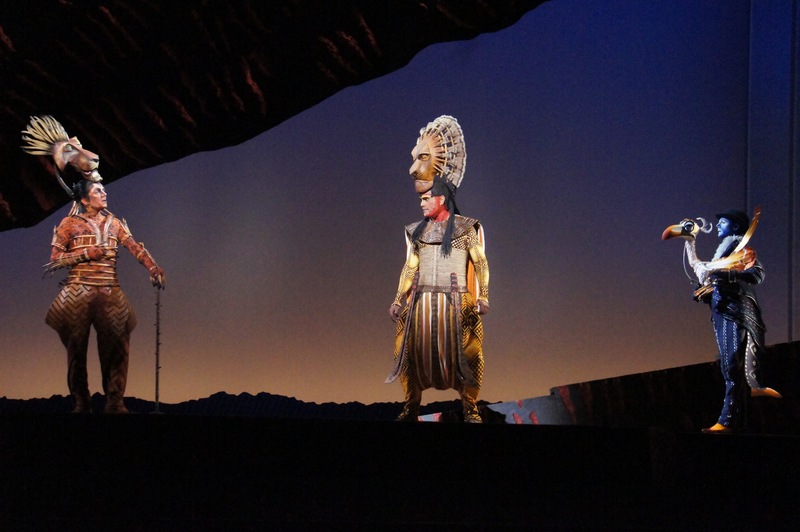 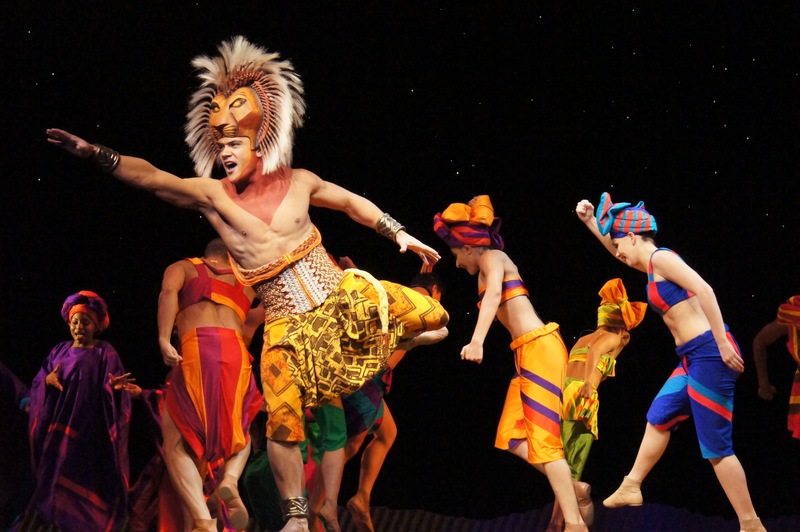 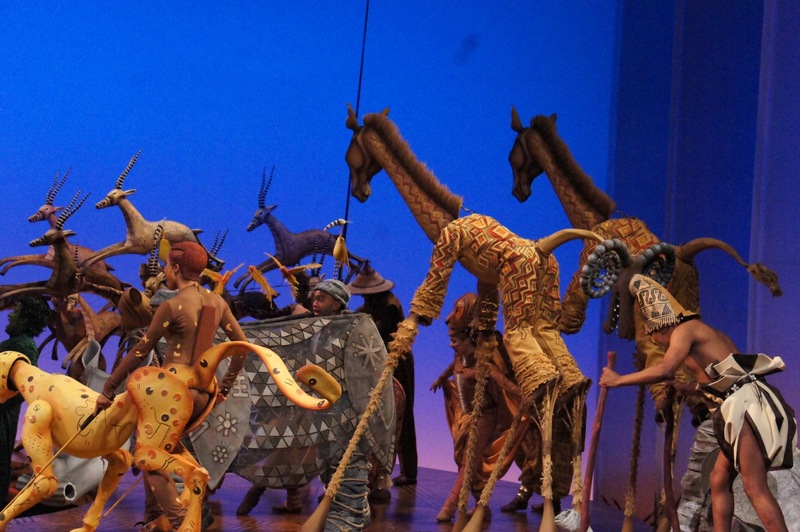 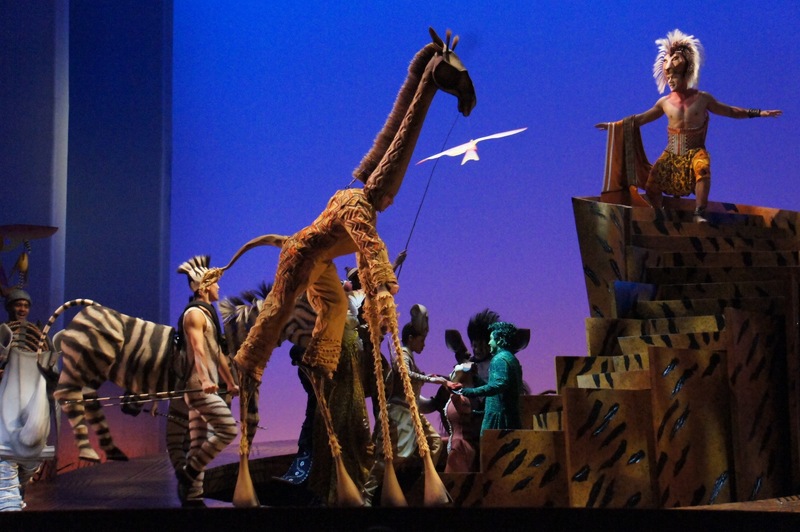 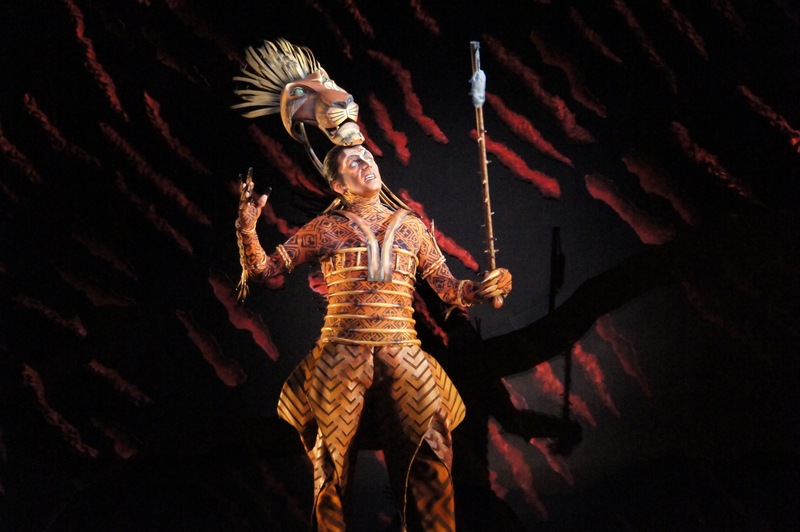 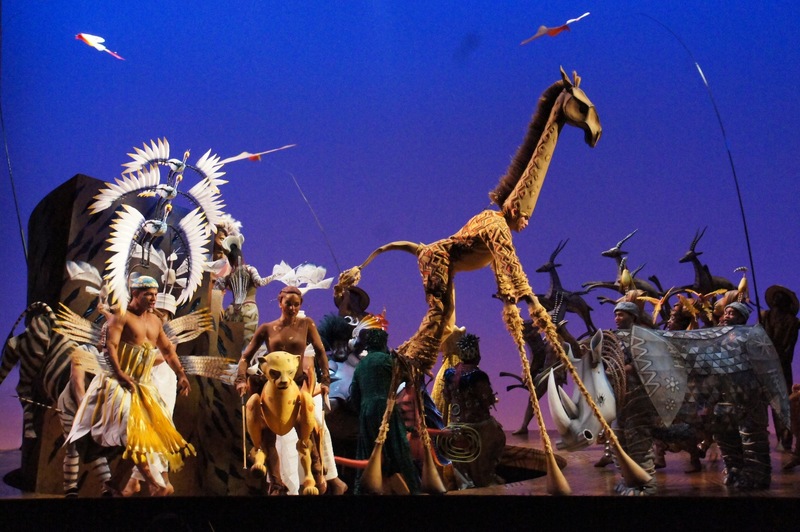 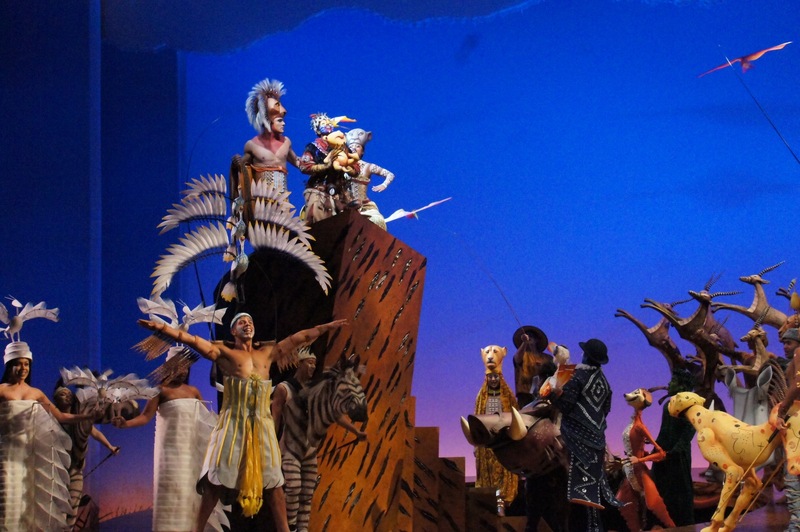 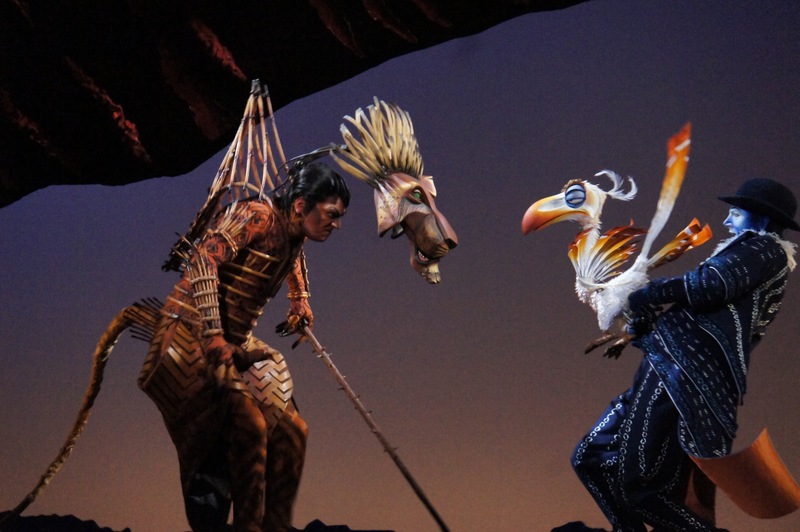 Ahead of tomorrow’s opening night, producers of the eagerly awaited return Australian season of The Lion King invited media for a glimpse at the spectacular costumes, innovative masks, gorgeous lighting and talented cast. 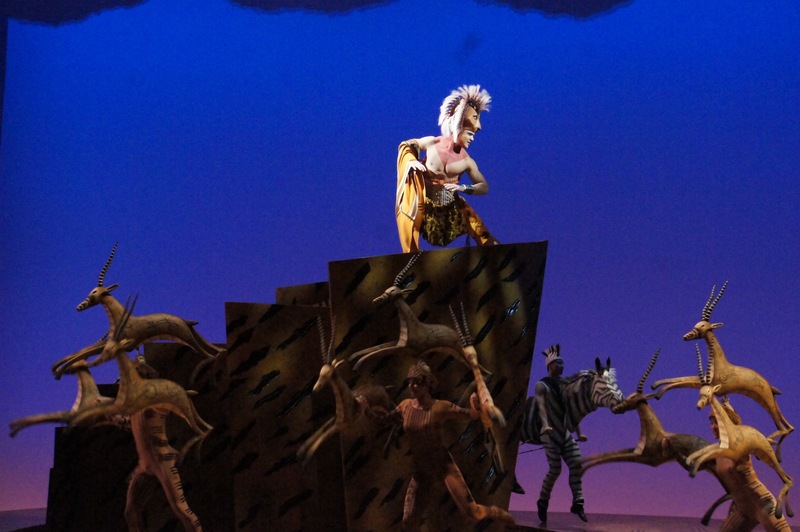 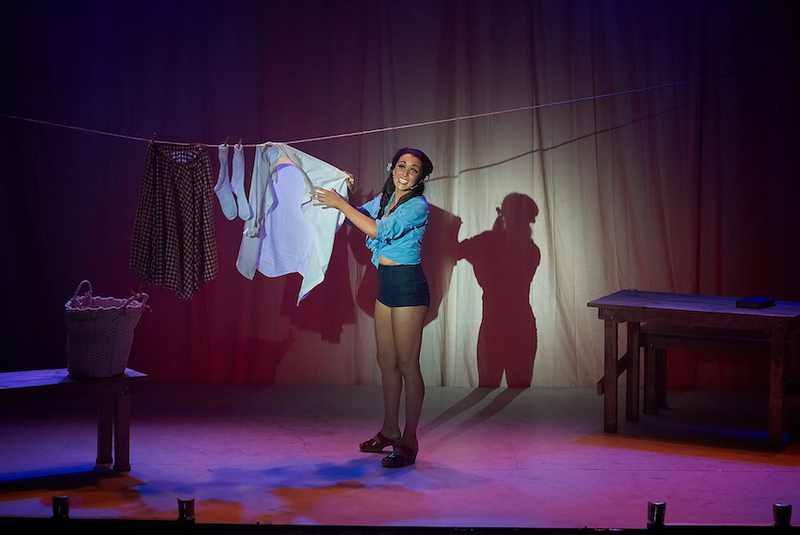 The new Australian season will be the tenth production running concurrently around the world at the moment, with the sixteen year old musical showing no signs of slowing down. 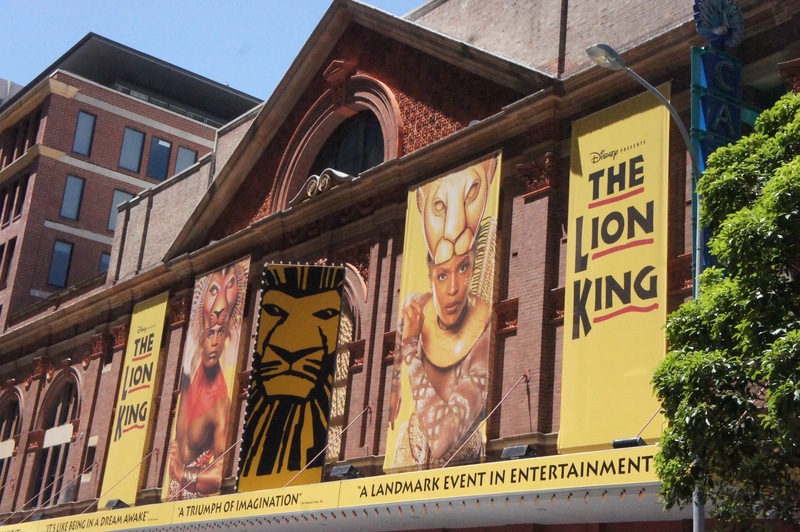 Sydney’s Capitol Theatre is all dressed up for the long run The Lion King. 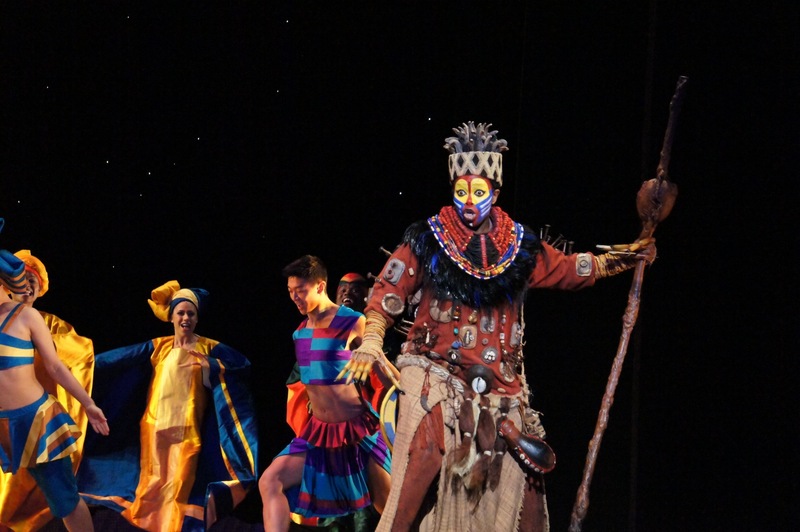 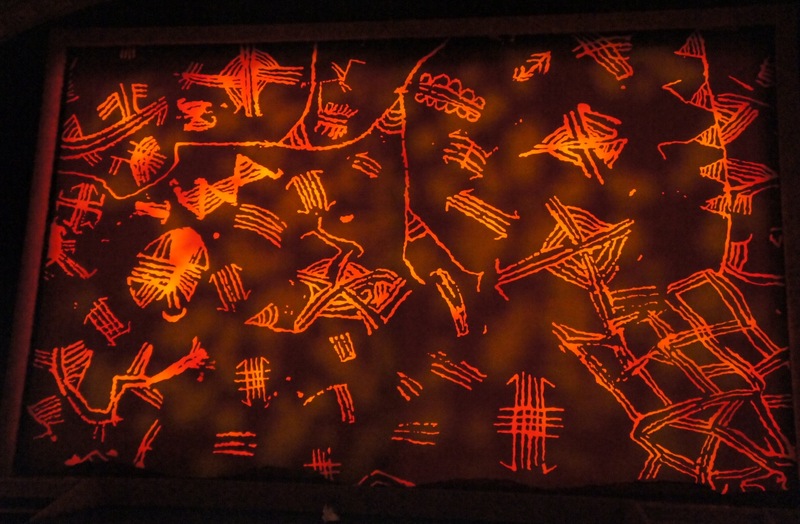 The show cloth features the mystical scrawlings of Rafiki. 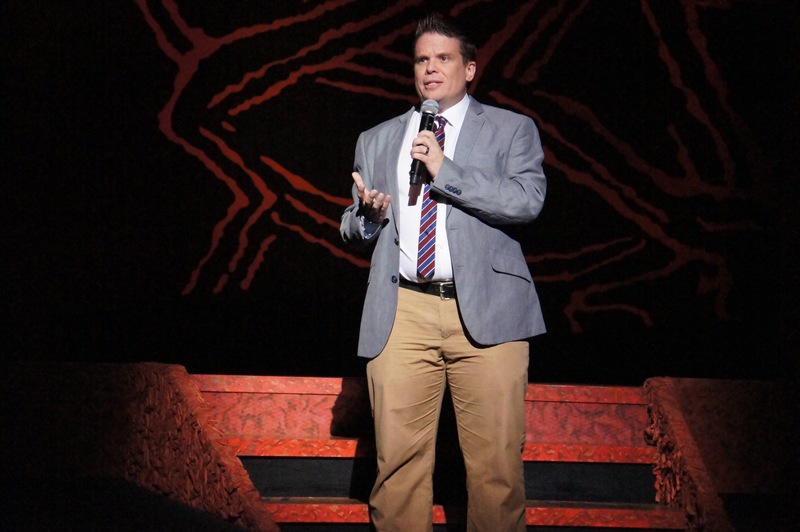 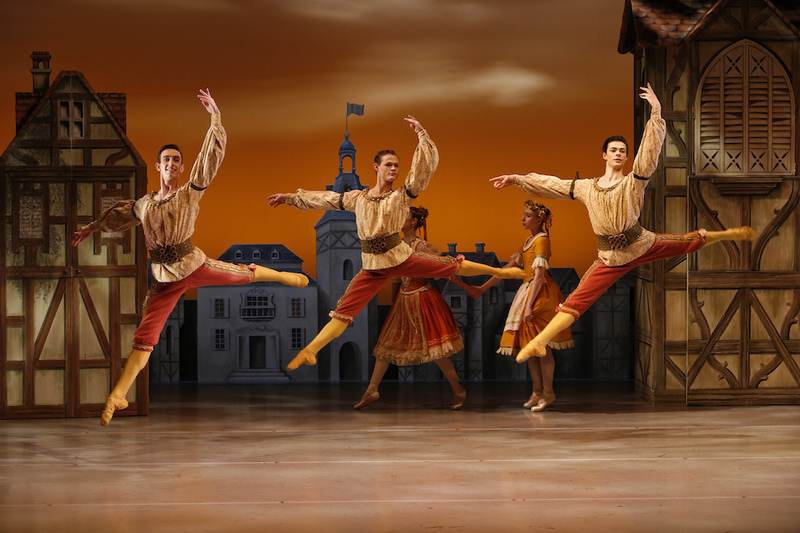 Associate Director John Stefaniuk introduced the three segments to be performed at this media event. 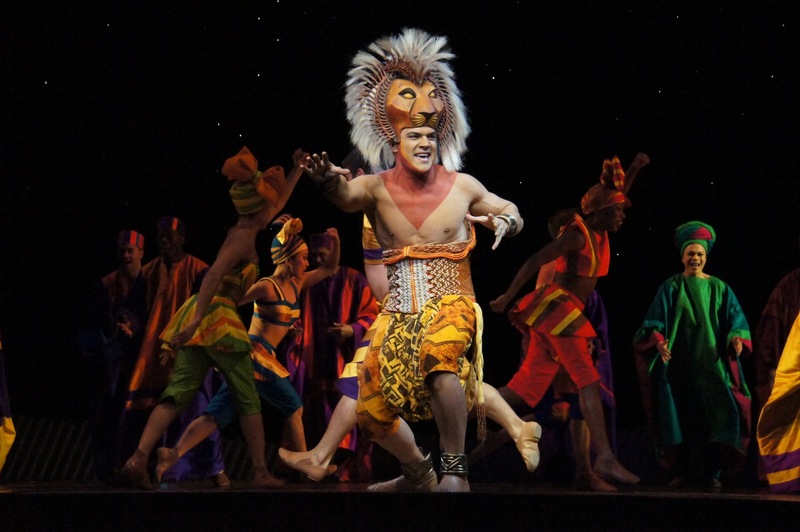 In “He Lives in You,” Rafiki (Buyi Zama) helps grown Simba (Nick Afoa) to remember his Father and to see his place in the kingdom. 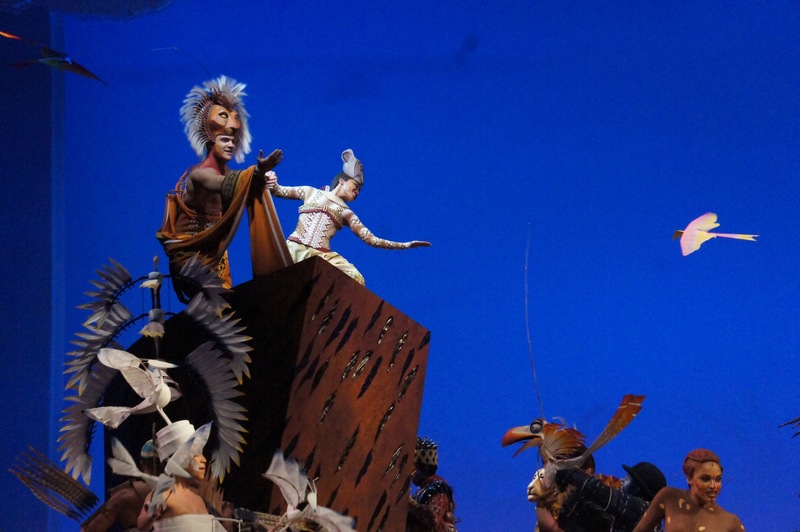 After the spectacular opening number “Circle of Life,” we see a little mouse who is about to captured by Simba’s snarling uncle Scar (Josh Quong Tart). 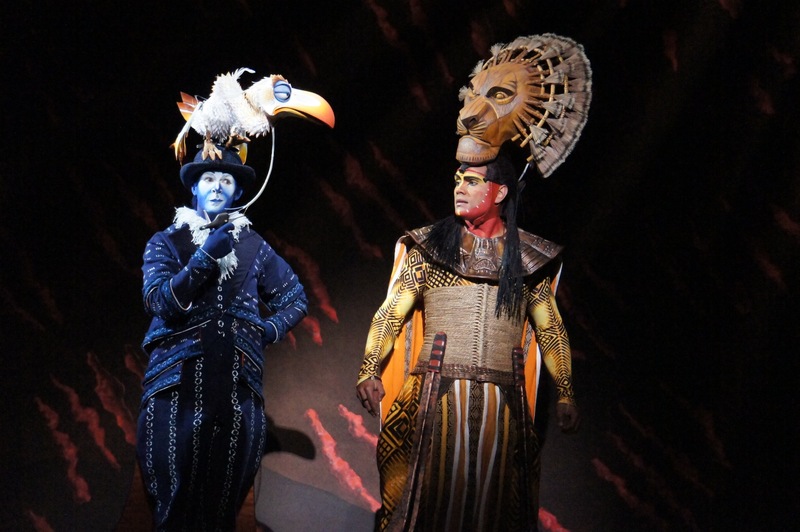 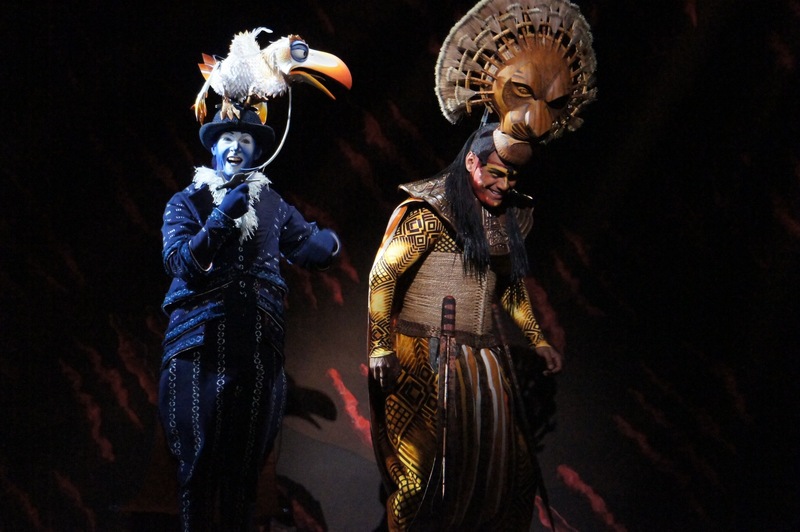 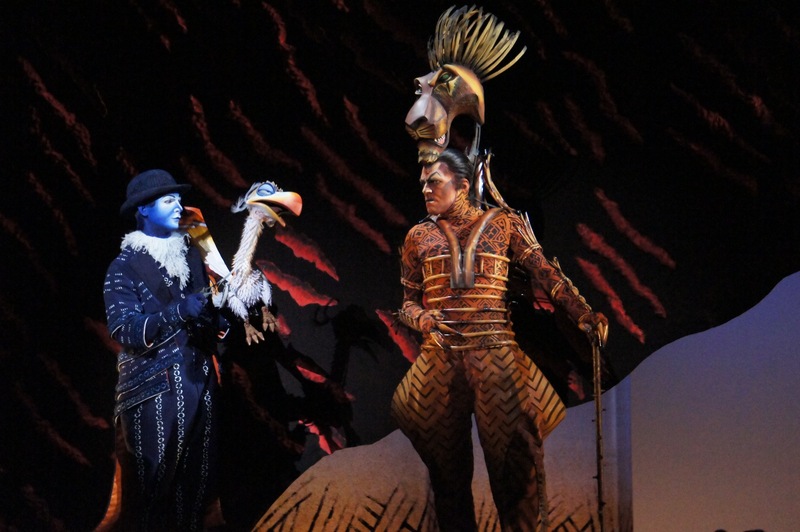 Zazu (Cameron Goodall) admonishes Scar for not attending the presentation of baby Simba. 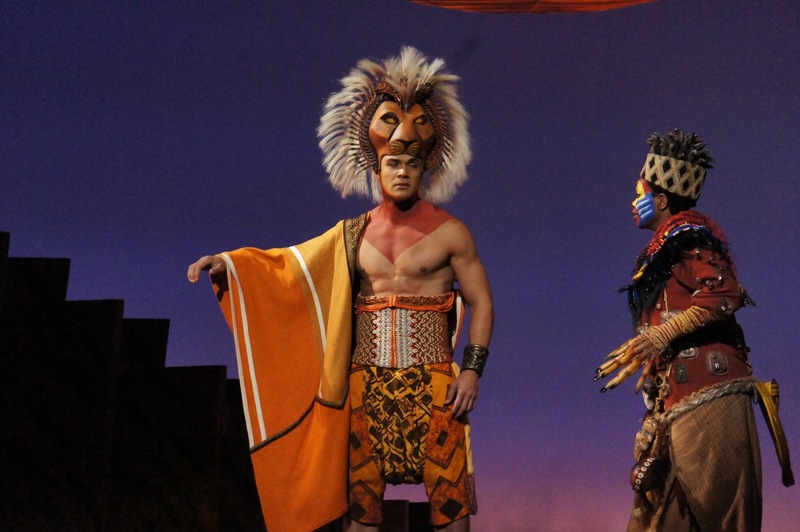 Mufasa (Rob Collins) arrives to scold his brother Scar, and they soon face off. 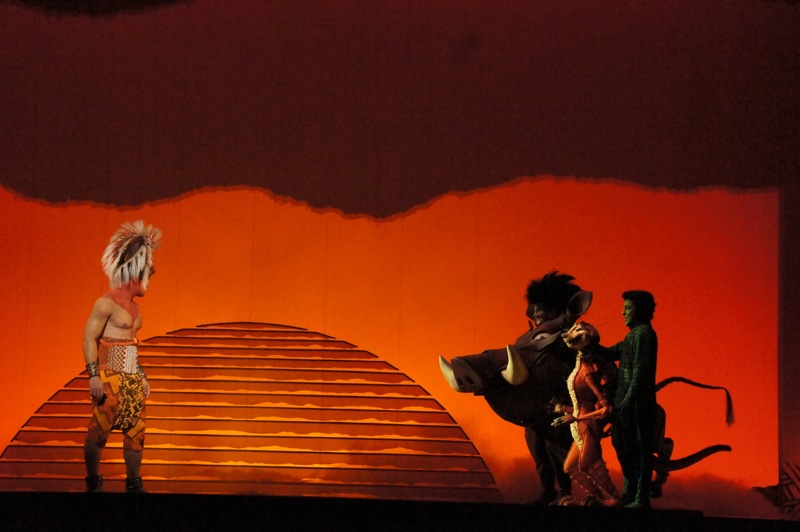 In the spectacular finale, Simba arrives back at Pride Rock to take his place as leader. 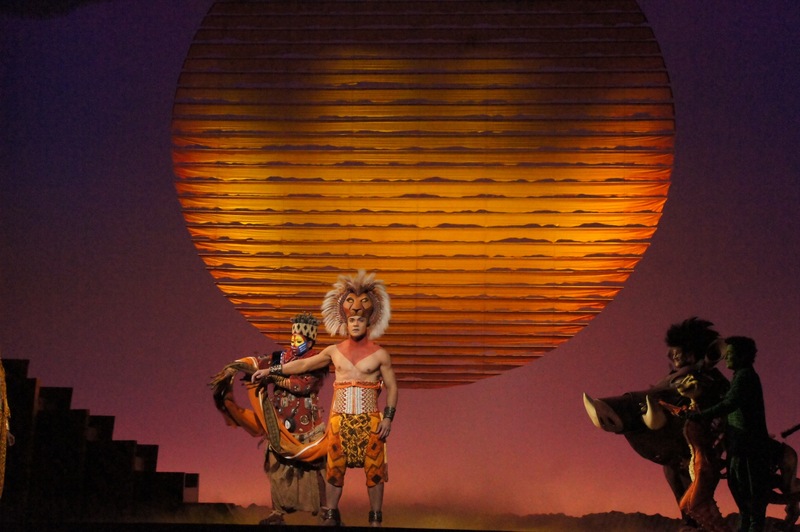 The circle of life is complete when Simba and Nala (Josslyn Hlenti) introduce a lion cub of their own. 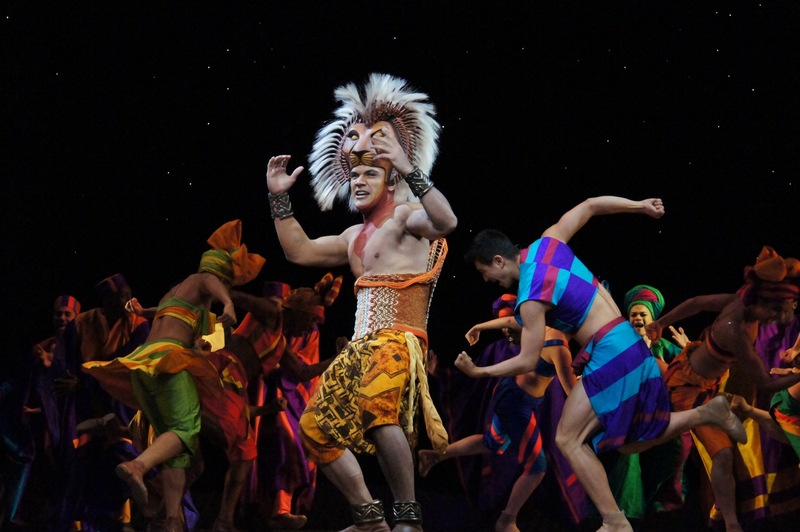 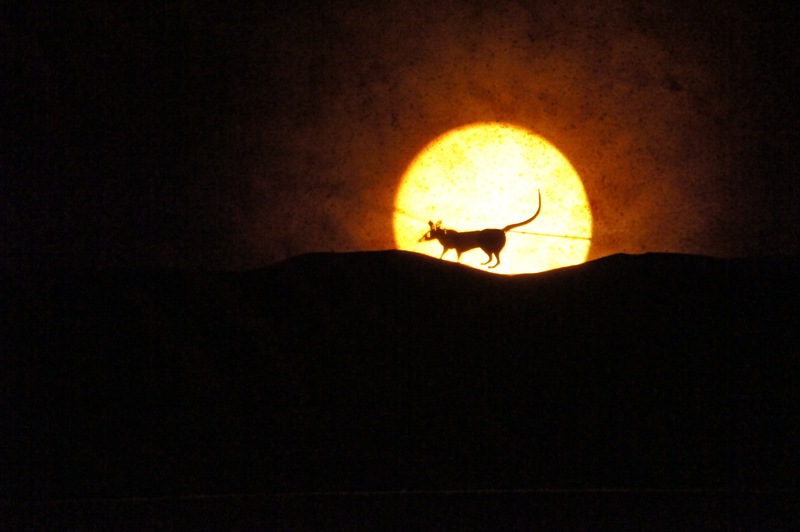 The Lion King opens 12 December 2013 at Capitol Theatre, Sydney.